Aika Swai has served in many roles on the Bridges team. She has contributed greatly to the project from the beginning and is currently an advisor. 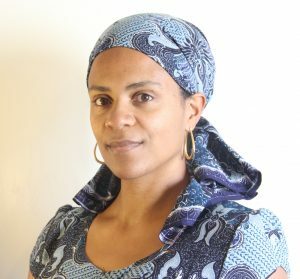 She earned an MA in Modern Thought and Literature from Stanford University in 2004 and has since taught literacy, literary education and performance in various settings, both in the United States and in Tanzania, where she grew up. In New York, she has conducted outreach and trainings for youth, their families and school staff on issues of cultural competency with a specific focus on the role of gender in the immigrant, refugee and diasporic experience. Mrs Swai is interested in cross-cultural imagination/communication and teaching strategies that utilize story-telling, dramatic animation and translanguaging. She has enjoyed five years of working on Bridges to Academic Success, a project that has its home at the Center for Advanced Study in Education (CASE).